We make it very easy for you to make an appointment with us. To make an appointment, simply call us at the number listed above. We ask that if there is any reason that you cannot keep a scheduled appointment, please give us at least 48 hours' notice. When you have dental problems, you need to turn to a dentist who listens and responds ... an experienced dentist who knows the field and can effectively diagnose and treat your needs ... a friendly dentist who counsels you on the best ways to maintain and improve your health. Our team at Jay D. Eisenstadt, DDS PLLC meets all of these criteria and our dedicated and professional staff will be more than happy to supply you with the individualized attention that you deserve. We accept VISA, MasterCard and American Express credit cards as well as personal checks. We also accept most insurance and union plans. Below is a list of some of the plans we accept. If your insurance or group is not listed below, please call us and ask because we may accept it. At Jay D. Eisenstadt, DDS PLLC, we believe that informed patients are better prepared to make decisions regarding their health and well-being. That is why we have included on this web site an array of topics associated with dentistry, dental diagnoses and treatments. 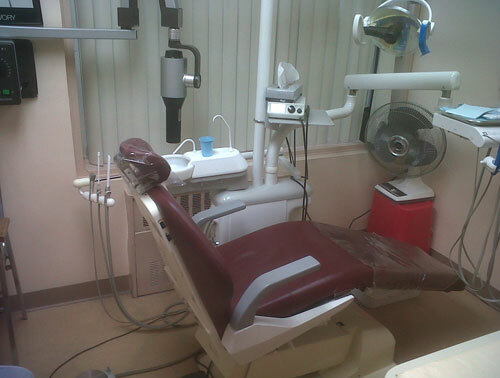 At our dental practice, we strive to make our office as efficient, comfortable and convenient as possible. Our office is staffed by a professional, caring and well-trained team. We know that people do not necessarily look forward to their dental visits, so we strive to make the experience as easy and comfortable as possible. At Jay D. Eisenstadt, DDS PLLC, we utilize the latest dental techniques in a comfortable setting. We also use the most up-to-date sterilization techniques, as recommended by the American Dental Association. To help you achieve your goals for a healthy smile and mouth, we continuously update our information and use the most modern technologies in dentistry. Our office is located at 142-10 Roosevelt Avenue, Suite 110, Flushing, NY 11354 with ample parking in a nearby municipal lot. We are conveniently located near the Q12, Q13, Q14, Q15, Q16, Q17, Q28, Q44 and Q58 bus lines as well as the #7 subway and the Long Island Rail Road. Please click here for directions to our office.